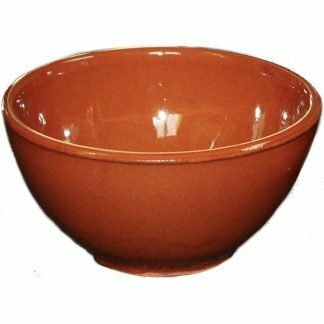 Also known as a Spanish cazuela, clay terracotta baking dishes have been used throughout Spain for centuries due to the fact that they cook food evenly and keep food warm when serving. 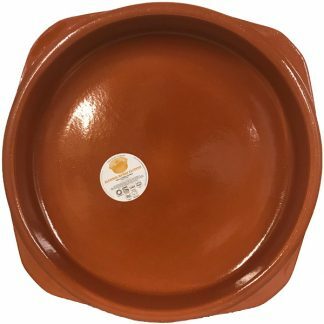 The red clay baking dishes can be used in the oven, on the stovetop and on the barbecue. Cazuelas are Spain’s contribution to clay pot cooking. 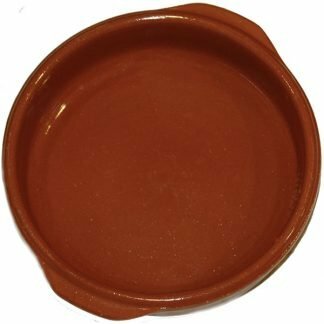 This festive red clay cookware, also know as a Spanish cazuela, can be used directly on the stove top, in the oven. Clay cooking goes back to the ancients. The Romans crafted clay vessels for olive oil and wine, and many cultures have always used clay cookware to suit their culinary needs. Cazuelas are Spains contribution to clay pot cooking. These durable cooking dishes can be used in place of a skillet, a paella pan, a sauté pan, or oven casserole. Clay cookware is durable and holds a slow, steady heat that allows foods to cook gently and evenly. The Spanish cazuela is sure to become one of your favorite kitchen companions. This cazuela measures 5 inches in diameter. Price is for a set of 4. 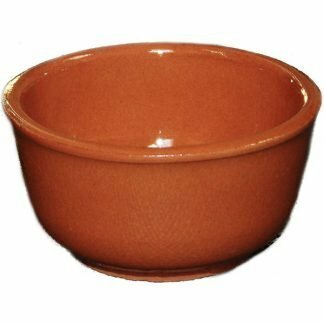 This festive red clay cookware, also know as a Spanish cazuela, can be used directly on the stove top, in the oven. Clay cooking goes back to the ancients. The Romans crafted clay vessels for olive oil and wine, and many cultures have always used clay cookware to suit their culinary needs. Cazuelas are Spains contribution to clay pot cooking. These durable cooking dishes can be used in place of a skillet, a paella pan, a sauté pan, or oven casserole. Clay cookware is durable and holds a slow, steady heat that allows foods to cook gently and evenly. The Spanish cazuela is sure to become one of your favorite kitchen companions. This cazuela measures 6 inches in diameter. Price is for a set of 4. This festive red clay cookware, also know as a Spanish cazuela, can be used directly on the stove top, in the oven. Clay cooking goes back to the ancients. The Romans crafted clay vessels for olive oil and wine, and many cultures have always used clay cookware to suit their culinary needs. Cazuelas are Spains contribution to clay pot cooking. These durable cooking dishes can be used in place of a skillet, a paella pan, a sauté pan, or oven casserole. Clay cookware is durable and holds a slow, steady heat that allows foods to cook gently and evenly. The Spanish cazuela is sure to become one of your favorite kitchen companions. This cazuela measures 8 inches in diameter. Price is for a set of 4. 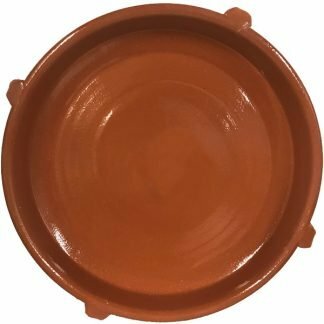 This festive red clay cookware, also know as a Spanish cazuela, can be used directly on the stove top, in the oven. Clay cooking goes back to the ancients. The Romans crafted clay vessels for olive oil and wine, and many cultures have always used clay cookware to suit their culinary needs. Cazuelas are Spains contribution to clay pot cooking. These durable cooking dishes can be used in place of a skillet, a paella pan, a sauté pan, or oven casserole. Clay cookware is durable and holds a slow, steady heat that allows foods to cook gently and evenly. The Spanish cazuela is sure to become one of your favorite kitchen companions. This cazuela measures 9 inches in diameter. Price is for a set of 4. 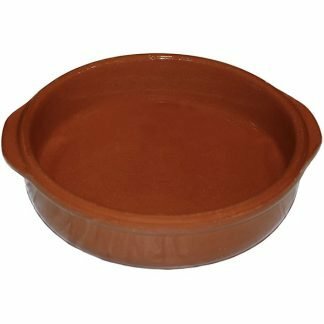 This festive red clay cookware, also know as a Spanish cazuela, can be used directly on the stove top, in the oven. Clay cooking goes back to the ancients. The Romans crafted clay vessels for olive oil and wine, and many cultures have always used clay cookware to suit their culinary needs. Cazuelas are Spains contribution to clay pot cooking. These durable cooking dishes can be used in place of a skillet, a paella pan, a sauté pan, or oven casserole. Clay cookware is durable and holds a slow, steady heat that allows foods to cook gently and evenly. The Spanish cazuela is sure to become one of your favorite kitchen companions. This cazuela measures 12 inches in diameter. 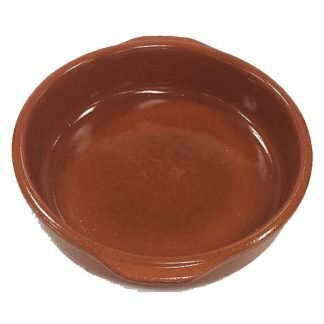 This terracota clay cookware, also know as a Spanish cazuela, can be used directly on the stovetop, in the oven and in the microwave. This size is a great little bowl for salsas and dips. Price is for a set of 4 bowls. 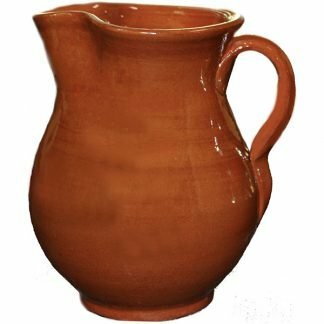 Made from the same clay as our ceramic cazuelas, this authentic sangria pitcher works equally well for hot or cold beverages. Each pitcher is handmade and will vary slightly in shape and size. Handmade in Cordoba, Spain by Alfonso Muñoz. 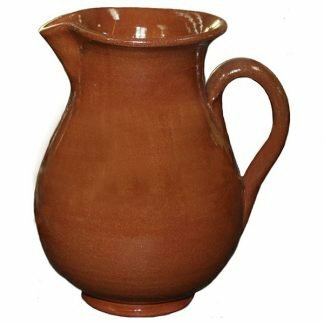 Made from the same clay as our ceramic cazuelas, this authentic sangria pitcher works equally well for hot or cold beverages. Each terracotta clay pitcher is handmade and will vary slightly in shape and size. Hand shaped on a potter’s wheel in Cordoba, Spain by Alfonso Muñoz.